Ins & Outs #10! | Chelsea B. It's been awhile since I've done an ins and outs post, so I thought it would be a fun post idea for today! If you guys read my post from yesterday, then you'd know that I went to the library. I got six books, which I couldn't believe that I did that! My goal is to get all six of them read before they have to be returned in December. I ended up finishing The Boy Is Back by Meg Cabot last night, and started on the next book, which I'll talk about next week in my Currently post. So, I haven't started decorating for Christmas just yet. Everyone keeps telling me it's too early. I mean, whatever haha! 😂 I'm actually looking on Pinterest for Christmas decor ideas, because this year I'm changing up my entire theme. 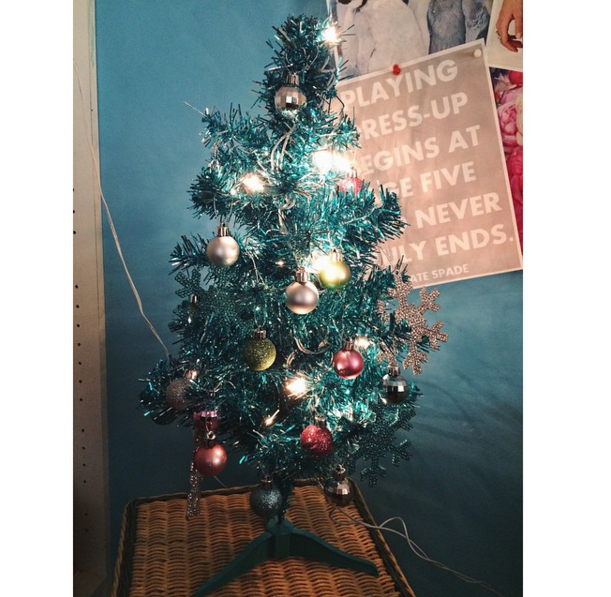 Usually I go for a bright theme (as you guys can see from my Christmas tree below), and this year I'm thinking about a white and gold theme or a white and silver theme. It's that time of year where all I do is bake haha. I just LOVE baking! Whether it's cake or cupcakes or chocolate covered Oreos, I'm doing it all right now. I'm going to start working on some Christmas themed cupcakes next! And I'll try to post pictures or post a video or something. Yay! More ins than outs! I was afraid since I hadn't done a post like this for awhile, I'd have a lot more outs. Hope you guys have a great Wednesday!